This adorable little girl is Brielle. 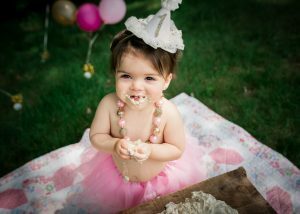 She is the cutest little princess and was an absolute angel during her newborn photography session. Her mom contacted me early in her pregnancy so that we could plan to do both Maternity and Newborn photography for her family. Such a beautiful momma-to-be and quite the princess herself. Here, mom is holding the same crown that Brielle is wearing in the first photograph. Such a little baby, Brielle was only 5 lbs 4 oz at birth. But before she got here, you can see just how happy both Mom and Dad were about her impending arrival. And now, it’s like she has always been a part of their lives because she always will be. Brielle’s cousins joined us for the first part of her session so that we could create some photographs of them all together. These little ones moved away from Connecticut shortly after this day, so this photo is extra special to both of their sets of parents. All snuggled up in her swaddle, Brielle was happy to rest in this beautiful floral heart nest. When Mom put on her second outfit during her maternity session, I was completely amazed. She looked fantastic! And now with her little love in her arms instead of her tummy, she looks just as amazing and even more content. Mom owns her own business as a hairdresser, so we just had to create this hysterical photograph. With his little girl resting so peacefully in his hands, Dad couldn’t be more proud. One day these hands will help her take her first steps, walk her into kindergarten and eventually down the aisle. What an adventure they have ahead of them. Because she was born at the beginning of spring, I created this photograph of Brielle napping among the tulips. Photographs like this are perfect for decorating the nursery. It captures how tiny Brielle was and is made even more beautiful by the lovely spring flowers surrounding her. And finally, back to their new trinity as a family of three. Oh, how lovely they all are. If you would like to experience Maternity and Newborn photography in the Hartford, CT area, contact me today. I am currently taking bookings for September – December of 2018.